Today we ask that you lighten your load. Each of you carries around a heavy weight of responsibility and obligation, particularly in regard to events that have not yet happened. Your minds fixate on events in the future. You are told, societally, that you must live your life responsibly because of your future. And this belief creates no end of misery — for how can you ever live up to this future? How can you ever save enough, do enough, raise your children well enough, take good enough care of your health? And so on. What nonsense. The ancient kings are forgotten, their dynasties dispersed, their conquests dust and ashes. You have no control over your future. While this idea may seem threatening to your ego, in reality, if you could fully accept this, you would feel a great release. We are simply telling you, you have no control over your future. You have no more control over your future than the kings of antiquity could create eternal dynasties. To live your life in an attempt to fulfill some impossible dream of the future — this is madness. 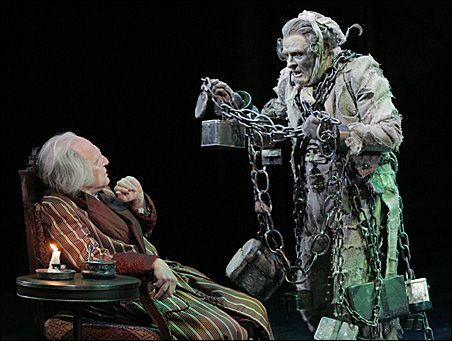 And so you all, like the Scrooge of “A Christmas Carol,” become pinched and miserly and controlling — and carry, at all times, a terrible, crushing weight, like Marley’s Ghost.